The Queen Alexandra Gates appear in the above photo, taken in 1931. They are the stone pillars that appear at the north end of Queen’s Park, where it intersects with Bloor Street West. On the left, a small portion of the Park Plaza (Hyatt) Hotel is visible, and on the right is the Anglican Church of the Redeemer. The gates are somewhat of a mystery, as they no longer exist at Queen’s Park and Bloor Street, but are on another location. Photo from the Toronto Archives, S 0372, SS 0001, Item 1087. In 1901, funds to build the Queen Alexandra Gates were donated by the Daughters of the Empire (Imperial Order of the Daughters of the Empire—IODE) to commemorate the royal visit to Toronto on October 10th and 11th of Prince George, the Duke of Cornwall, and Mary, Duchess of Cornwall. The gates were named after Prince George’s mother, Queen Alexandra, the consort of King-Emperor Edward VII. In 1910, Prince George was to ascend the throne as King George V, his consort being Queen Mary. Queen Alexandra was born in 1844 in Copenhagen, Denmark. In 1863, she married Britain’s Prince of Wales, Edward, the eldest son of Queen Victoria. In 1901, following the death of Victoria, Edward ascended the throne as King Edward VII. His consort, Queen Alexandra was a beautiful and intelligent woman, who quickly became highly popular throughout the British Empire. 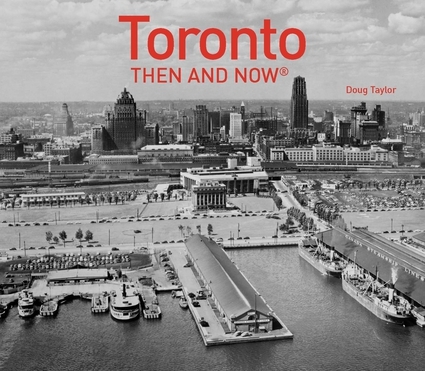 Toronto was a British colonial city at the turn of the 20th century and treasured its links to the crown. Public buildings, streets, parks and gateways were often named after members of the royal family. In 1901, where the Queen Alexandra Gates were erected at Queen’s Park and Bloor Street, there remained many undeveloped parcels of land. The small village of Yorkville was a short distance to the northeast of the intersection. Yorkville was amalgamated with the city in 1883, but in 1901, Torontonians still considered it a considerable distance from the downtown as public transportation was slow. Thus, the Alexandra Gates were also viewed as being located in a slightly remote area, to the northwest of the city. The gates consisted of stone pillars on either side of the roadway, with wrought iron lamps on top of each pillar. The lamps resembled the heads of serpents, typical of Edwardian fanciful designs that were in vogue in London, the capital of the Empire. Designed by Chadwick and Buckett, for their official opening by the Duke and Duchess of Cornwall on October 10, 1901, the gates were decorated with flowers and multiple ribbons of red, white and blue. The inauguration of the gates was exceptionally well attended as people were aware that the future king and queen were present. During the years ahead, several times, the gates were moved further apart to facilitate the widening of Queen’s Park, as well as Avenue Road. In 1962, because of another widening, it was decided to remove the gates entirely. Fortunately, unlike most historic Toronto structures, rather than demolish them, they were relocated to the north end of Philosopher’s Walk. In their new location, they were on the south side of Bloor Street, on the west side of the original building of the Royal Ontario Museum. In 1990, the lamps were restored by the faculty of the University’s Facilities and Services. In 1995, the gates and the entire length of the Philosopher’s Walk were fully restored by the University of Toronto. In 2006, at the south end of the walk, another gateway was constructed to commemorate the contributions to the university of Avie Bennett, owner of McClelland and Stewart. Thus, the Alexandra Gates remain today as a reminder of Toronto’s past and its connections to the royal crown, even though they are now located in a modern multi-cultural city. Queen Alexandra, consort of King Edward VII, for whom the gates were named. The Queen Alexandra Gates in 1901, when they were decorated for their inauguration by Prince George and Princess Mary. The view looks south on Queen’s Park. Through the archway can be seen the fence that is on the east side of the property where the new wing of the Royal Ontario Museum was built in 1933. City of Toronto Archives, Fonds 1231, Item 0180. Fire wagon racing westward on Bloor Street in 1912, the Lillian Massey Building and the east pillar of the Queen Alexandra Gates in the background. Toronto Archives, Fonds 1244, Item 1382. View gazing south on Queen’s Park, which is unpaved, to where it terminates at Queen’s Park Circle that surrounds the Ontario Legislative Building. On the left (east side of the road) is the Lillian Massey Department of Household Science Building, erected 1912. The photo was likely taken the same year. On the right-hand side of the photo, a narrow slice of the Queen Alexandra Gates can be seen. As well, on the right are visible the fence and pathway that are located where the ROM is today. Photo from the Toronto Archives, Fonds 1244, Item 7279. View from the north side of Bloor Street in 1933. The camera faces the southwest corner of Queen’s Park and Bloor Street, the Royal Ontario Museum (ROM) in the background. The Queen Alexandra Gates are visible on either side of the narrow roadway, which accommodates only two lanes of traffic. Toronto Archives, Fonds 1244, Item 1140. View looking north on Queen’s Park, from south of Bloor Street, in 1934. The trees are being removed to facilitate the widening of Avenue Road. In the distance are the Park Plaza Hotel (Park Hyatt). Construction began on the hotel in 1928, but its opening was delayed because of the Great Depression. The Royal Ontario Museum and Lillian Massey Building are also visible. The widening of the roadway necessitated that the stone pillars of the Queen Alexandra Gates be moved further apart. Toronto Archives, S 0372, SS 0052, Item 1713. The Queen Alexandra Gates at the north end of Philosopher’s Walk in 2016. In the background are the shops and high-rises on the north side of Bloor Street West. Gazing north on Philosopher’s Walk at the Queen Alexandra Gates in 2016. The north side of the gates, looking south into Philosopher’s Walk. The original building of the Royal Ontario Museum (now the west wing) is visible in the background. The crown and ornate letter “A” for Alexandra on the north side of the east pillar. The north side of the gate, viewed from the east side. The top of the gates with the ornate heads of serpents, their mouths holding the lamps. The Queen Alexandra Gates, in the background Varsity Arena (University of Toronto).